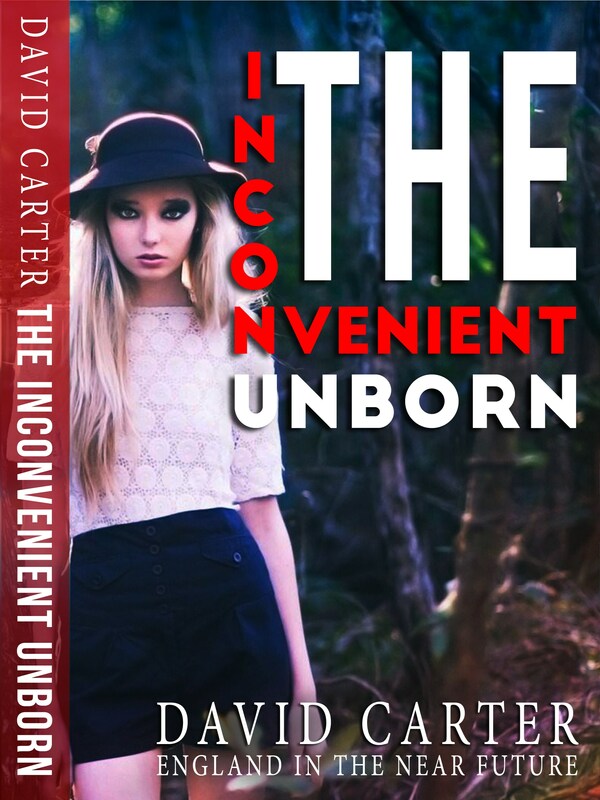 I’m hosting a guest post today by David Carter, author of “The Inconvenient Unborn”, a family drama/politcal thriller. David talks about editing process with us today. I can’t emphasise enough how important it is to get your work properly edited before the book is put out into the wider world. Like many authors, when I finished my first books, I desperately wanted to see them in print and on sale, and made the beginner’s error of not having them sufficiently edited. And never believe that it is something that you can do all by yourself. You can’t! Fresh eyes and a fresh brain are always required. I know that can be expensive, but you can always try and network with other authors, and arrange some kind of reciprocal deal. So if you are a budding writer please don’t repeat my mistakes. Get your work thoroughly edited before you think of publishing. It’s better to show patience and get things as right as possible. As for my own current editing process, firstly I read the whole thing out loud. Yep, it gets me funny looks sometimes, but by reading aloud you will be amazed how different the story reads, and how clunky and even downright ugly certain passages sound, errors that never show up in a silent skim read. Secondly, when I have done that, I put the whole thing away and forget about it, and the longer you are able to set it to one side, the better it will be, and the more changes you will want to make when you start reading again. One of my books, “The Life and Loves of Gringo Greene”, I actually set aside for ten years, or to be more exact, it slept underneath my bed for that time. One day I took it out again, read a little, changed a lot, showed it to a couple of lady friends, and they all said the same thing: “Get it published”, which eventually I did. Time is a great reviser, and a great editor too, and it comes back to that patience thing. The more you have, the better the resulting work will be. Thirdly, in my revision and editing schedule, I have three writers who I cooperate closely with. In short, I edit theirs, and they edit mine, and this works really well. Strangely they often come up with different corrections and suggestions, and that’s cool, for the more people who look at it, and edit, the better the resulting book becomes. That is not to say that everything ends up perfect, because it doesn’t. Books rarely are. So don’t beat yourself up when someone points out an error in your work. It happens, and it can happen to anyone. Recently, I read a book published by one of the big four publishers, and on one page alone I found no less than eight errors – and yes, I often remain in editing mode, reading aloud, even with other people’s stuff. It’s just a habit I have fallen into, and you might be surprised to learn that I rarely read anything that is perfect. I repeat, errors are made by all publishing organisations, from the smallest to the gigantic. It happens to us all. If you know a writer who says they have never made a mistake, they are telling fibs. And all writers get bad reviews too sometimes. That comes with the territory, so develop a thick skin, never get involved with recriminations and arguments. Shrug your shoulders and move on. Write something better is a good response. The whole subject of bad reviews is another story, for another day. Though you may not like what you see. The Cazenoves and the Wilsons don’t get along, leastways the parents don’t – the teenage kids adore each other, but when the oldest Wilson girl falls pregnant, sparks fly. Donald Cazenove just happens to be Fred Wilson’s boss, but Fred isn’t without influence himself, being the senior shop steward, and the business is struggling anyway, and a strike could play havoc with Donald’s figures. “The Inconvenient Unborn” is set in England in the near future where after years of austerity, a left wing Labour Party has been returned to power with a huge majority, and they now intend to change Britain forever. They have a mandate. They have conviction. They have momentum. And then there’s a state visit to Britain by the most powerful man on the planet, Yuri Premakov, the Russian President, and his precocious and very beautiful film star wife, Tamara, bringing gifts of gas and oil and energy, at a price, and he’s scheduled to visit Lymington on the south coast, where most of this book is set. So who wins out? The Cazenoves or the Wilsons, and what exactly are Yuri Premakov and his vast entourage up to in Britain? 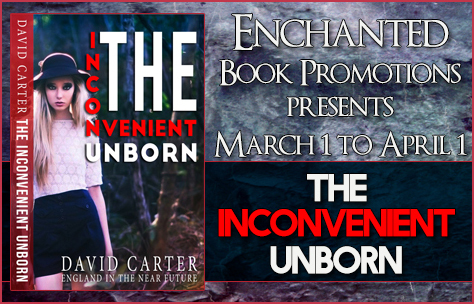 “The Inconvenient Unborn” will take you on a journey you can barely imagine. My syndicated online articles have now been read by over 300,000 people across the globe and show no sign of slowing down. I’m hosting an excerpt today for a political thriller named “Jack Canon’s American Destiny”. Enjoy the excerpt! Sandy, come here a minute. We haven’t had a chance to just sit and talk for a while.” She came over and sat close enough I could smell her perfume. Sandy looked straight into my eyes and without her saying a word, I imagined what she was thinking. If our lips so much as grazed a passing touch, would that ignite a fire of passion that would have us tearing at each other’s clothes? Sandy never tanned and her soft white cleavage overflowed whatever she wore. It wasn’t a stretch to tell her a designer could be so inspired. “Sure Tip, come on in.” Tip walked into the office, came around the corner and took a seat in the chair nearest the couch where I was sitting. Sandy adjusted herself, quickly moving her head to my shoulder. 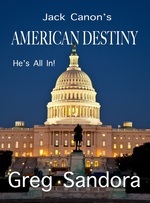 I’m interviewing author Greg Sandora today, the author of political thriller “Jack Canon’s American Destiny”. 1) How long have you been writing? I have been writing novels for the last three years. Before that I liked to write short stories about things remembered. 2) Is Jack Canon’s American Destiny your first novel? If not, please tell us a little about your first book. Jack Canon’s American Destiny is my first. I have recently completed the sequel, Jack Canon’s Women of the House, which will be released by Itoh Press in November 2013. 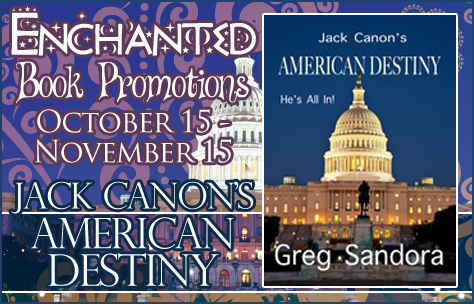 3) Tell us about Jack Canon’s American Destiny. Jack Canon is going to be President of the United States–no matter what! It all starts when Jack is ten years old, on a missionary trip to Africa. He is forever marked by the inhumanity he sees there. As he comes of age he realizes politics is the only way to make meaningful change happen and help those less fortunate. We meet Jack again during the campaign of 2016 in Washington, D.C. and follow him and his loyal friends through to the Democratic National Convention and beyond. We find a long and painful recession has left ordinary Americans suffering, spawning the hottest Presidential Contest in history. Rewind one year, Jack’s focus on redistribution of wealth and energy has made him powerful enemies. Once his friends, Rogue Billionaires, Oil Sheiks, the Mob, all want him gone. A Universal Raw Nerve of wealth vs. poverty is exposed becoming a thrill ride as deep machinations of espionage, geo-politics and deception, even murder play out. Jack is kind and charismatic, and just naughty enough to have you falling for him like one of his loving circle of loyal friends. Of course he’s flawed, a dedicated family man, faithful to one woman, but in love with two. Is it his fault his best friend, Sandy, is impossibly jaw dropping beautiful? We see Jack through his friends and the lengths he will go to help someone in need. Thinks crime and passion meets tender romance and innocence. All leading to a heart thumping climax so shocking you’ll pull the covers and draw the shades! 4) Why did you choose “political thriller” as a genre for your novel? I really love the backdrop of the presidency as the seat of power in the world, the story has suspense intrigue and the Crime of the Century. There is flirtation, romance and fun in addition to the thrills, but the backdrop is a presidential campaign. Be in it for the long haul, God makes mighty oaks out of tiny seeds. A book is like the seed of a new career. 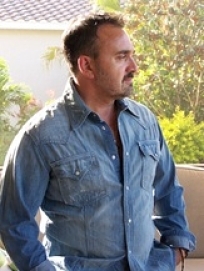 I am learning about marketing and trying to introduce my work to others. My wish is that people will be entertained by my books. 6) Do you have any works in progress you’d like to tell us about? I would love to tell you about my angel book. Currently, I am working on Gabriella, Guardian and Messenger, Angel of God. A widower, Bo, with two small children meets, Gabby, in Bar Harbor, Maine. Quite by accident, she wasn’t supposed to reveal herself, but in his relaxed semi-slumber state, he catches a brief glimpse. She is not the most powerful of angels, reserved for guarding the outer edges of the earth, but as guardian and messenger, she is sent to do errands for God. After saving someone from a brutal attack – Bo and Gabby embark on a two week motorcycle adventure across America – saving innocents and coming to the aid of those less fortunate people Gabby is instructed to assist. As the two spend time together, Bo not only falls hopelessly in love, but begins to change. He succumbs to temptation just as Gabby must leave the earth. She can no longer protect him. Will his life ever be the same? Anymore and I would spoil the twist. The following is a little excerpt. Bo has been friendly with the neighbor, Jill, who sees he has brought a woman (the angel) home. This is unedited, I will read and polish this several times before sending it to the editor. “Bo, someone’s at the door,” Gabby motioned toward the breezeway. Gabby raised her brow at me. “Okay, I’m going!” I answered. Jill was standing in the doorway between the kitchen and the garage, knocking repeatedly, ringing the bell. “Hi Jill,” I tried to sound nonchalant. “Bo, who is that?” Jill asked, upset. “You brought a girl back with you. I thought you needed time alone!? Just you, Kiki, and the kids. Brittany and I would have come with you,” she offered, quickly tearing up. Now I’m thinking you lied to me, Bo.” Jill took a tissue from her pocket and dabbed her eyes. Gabby interceded, “Bo, ask Jill in, I’d like to meet her. You know I’m only going to be around for two weeks, think ahead – don’t ruin this.” Gabby pleaded in my head. The two stood face to face just across the center island in the kitchen. “Hi, Jill, I’m Gabby and no, I’m not Bo’s girlfriend. She’s pretty, Bo!” Gabby added. “I love your sandy brown hair.” Gabby was right, Jill was cute in her way. Jill held her hand to her shoulder, “You do? Well, yours is beautiful. I used to wear mine long like that. I just cut it last week.” She said, measuring with her hand, “You really like it?” She asked, not sounding convinced. “Are you and Bo seeing each other?” Gabby asked. “Men!” Gabby joked to ease the tension. “Really, Bo? Is that what you call us? Friends?” Jill sounded agitated. “Jill, why don’t I make us some coffee, come in and sit.” Gabby tried to salvage. I took a deep breath, but couldn’t explain my feelings. Everything in my life had changed and I didn’t have the words. Jill started to cry, “Okay, Bo. I thought you were different.” She turned and ran out the door. Gabby and I watched her through the window, running down the sidewalk to her house next door. “Bo, sit down.” Gabby led me to the club chairs next to the fireplace. Sally and I used to sit across from each other and talk for hours in this spot. I got comfortable positioning my legs across the overstuffed arm. “She’s been through a horrible divorce, with a man that cheated on her, and now she feels like you betrayed her, too. Poor Jill.” Gabby made a sad face that made me feel horrible. ‘I’m falling for you…you’re the prettiest most beautiful girl I’ve ever seen…’ I was cajoling, pleading with my mind. Gabby tuned me out. “Let your conscience be your guide, Bo.” She spoke aloud, refusing to answer my thoughts.